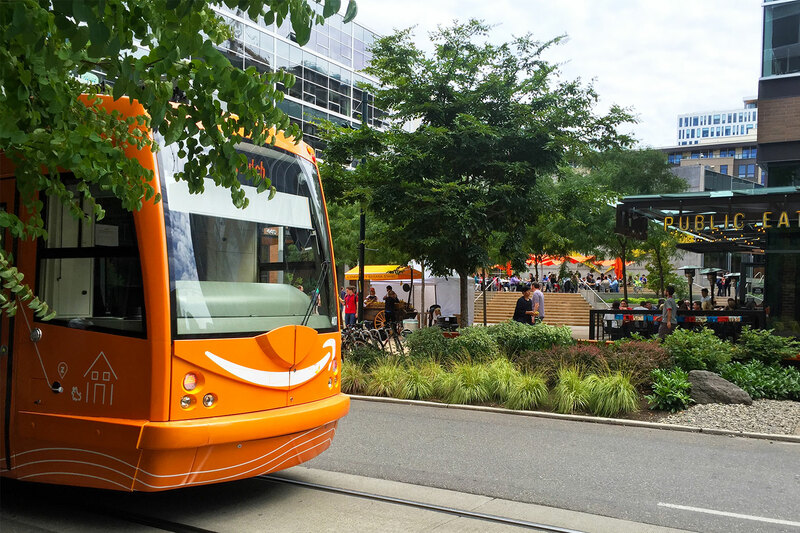 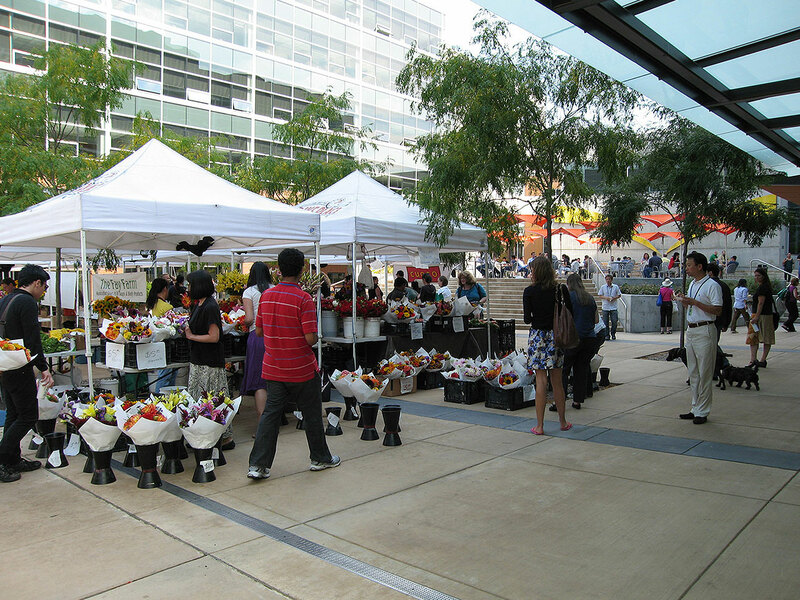 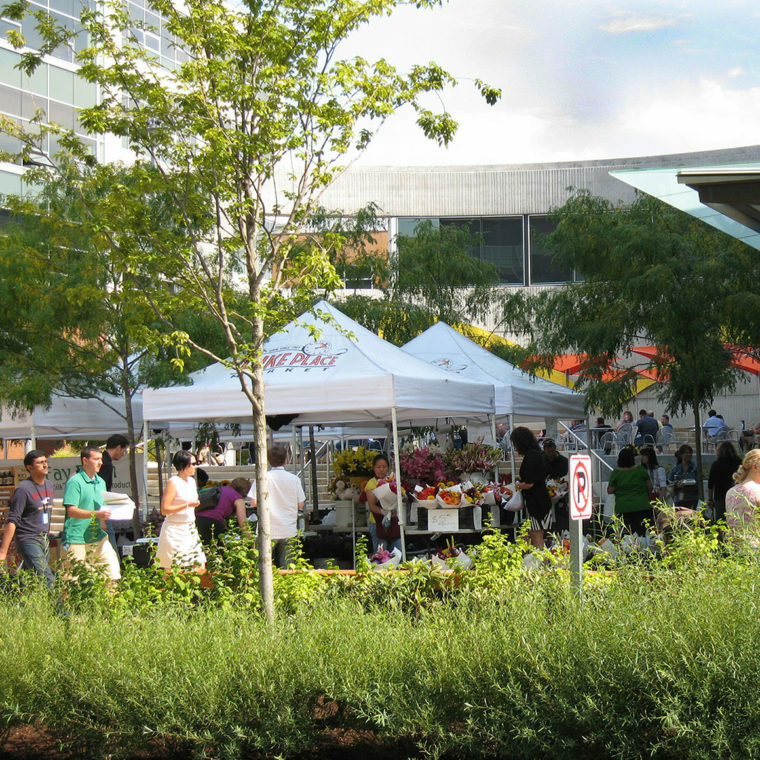 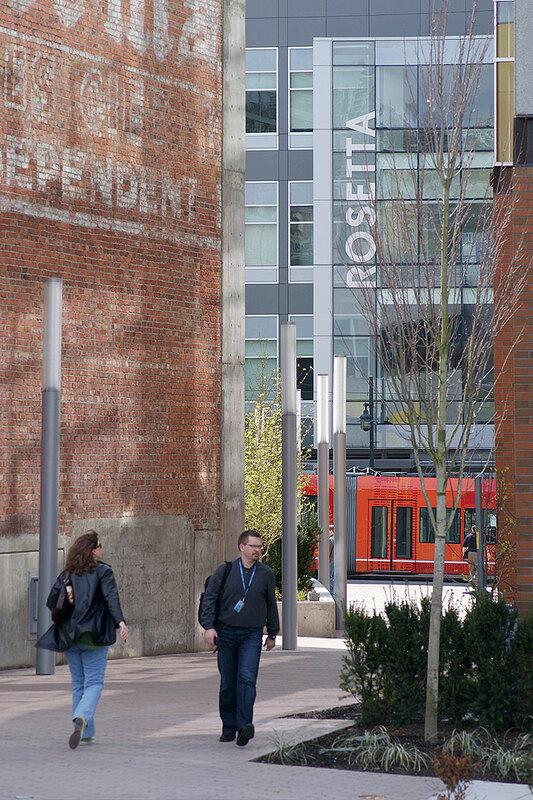 Once an industrial rail corridor, the six-block LEED Certified neighborhood is now a vital urban tech hub and home to the South Lake Union Trolley. 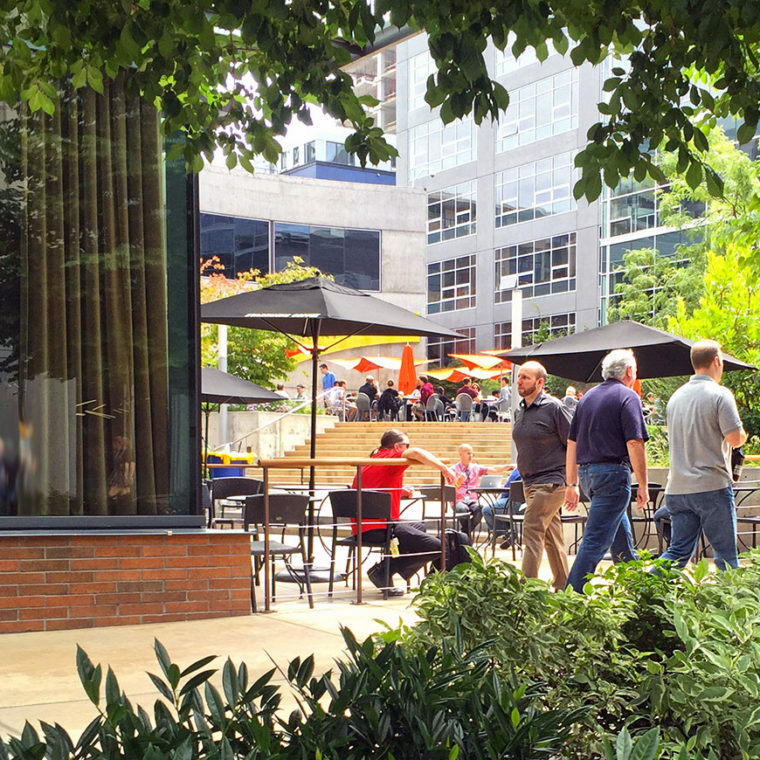 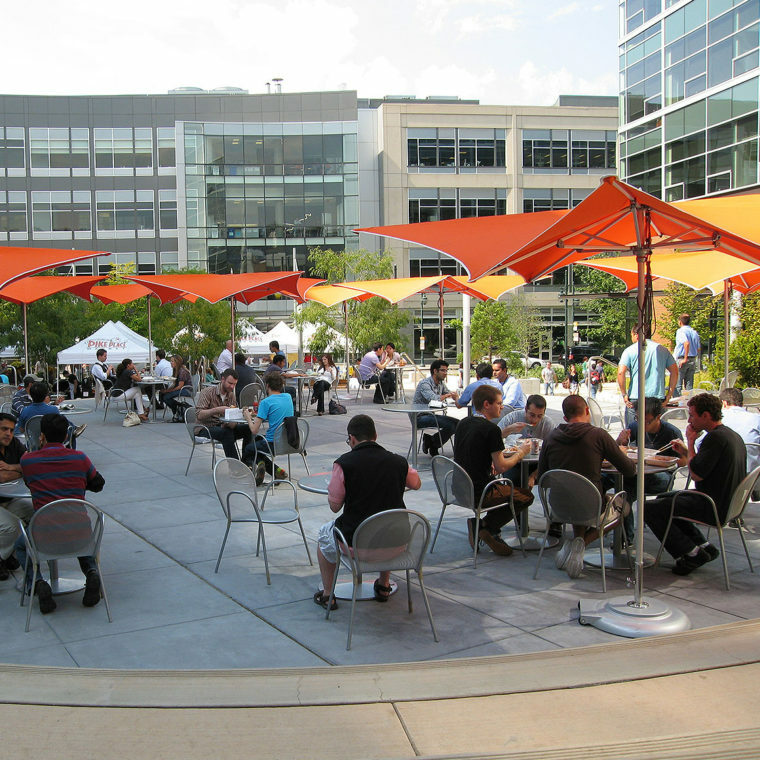 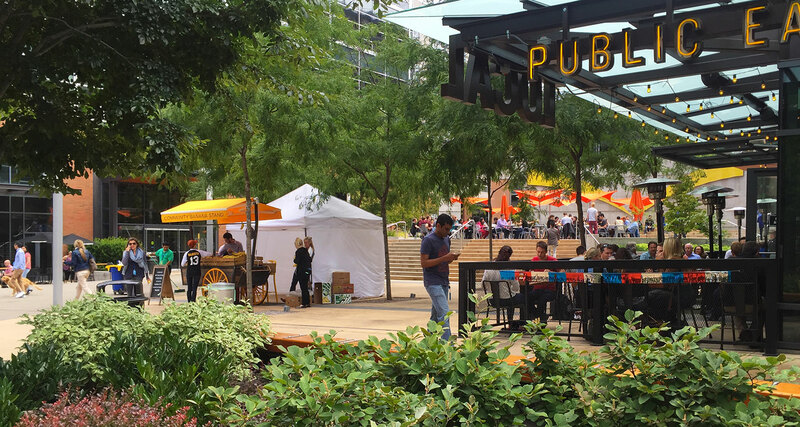 The public plaza with its stair-step terraces offers sunny perches for people watching and umbrella tables for lunch, while a brick pathway reflects the character of adjacent landmarked buildings. 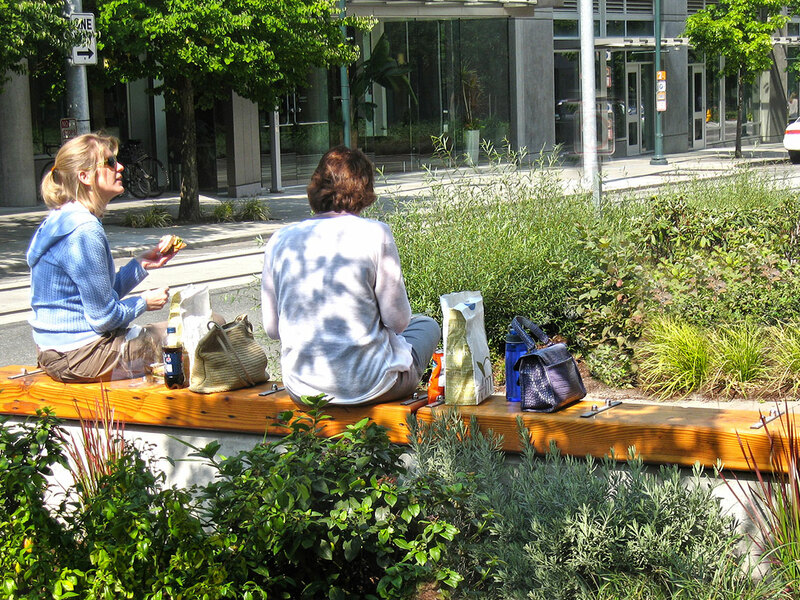 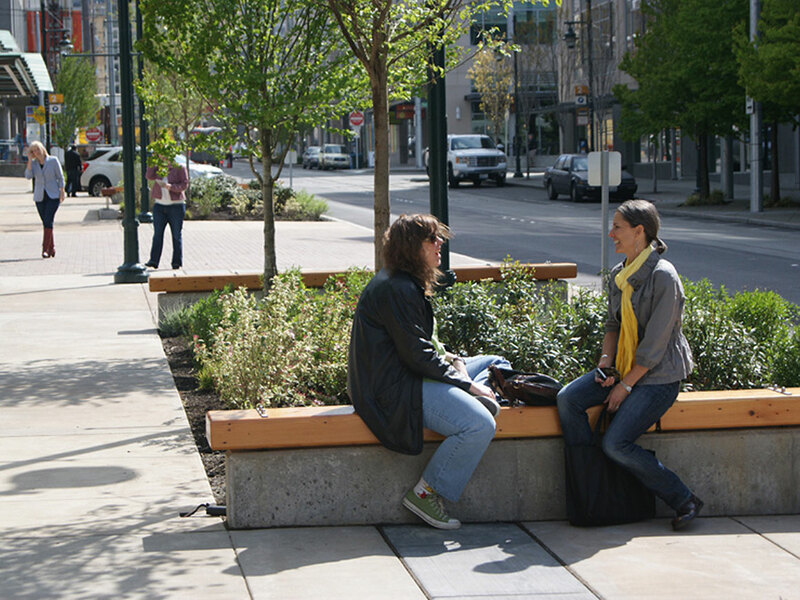 Benches of repurposed beams, LED lighting, and widened sidewalks make this an ideal pedestrian destination.